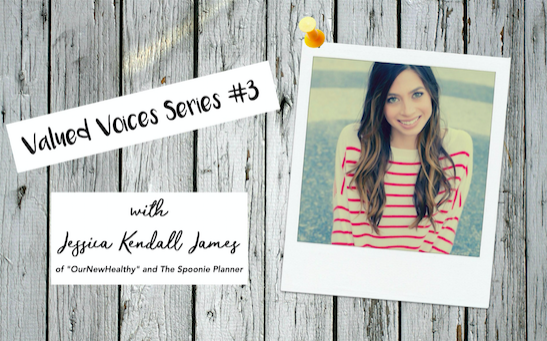 Jessica Kendall James is the blogger behind Our New Healthy. 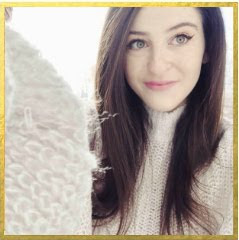 She is also the genius behind the new Spoonie Planner that everyone is talking about and dying to get their hands on. This past week I got to chat with her to learn a little bit more about her personal story, and where her inspiration comes from. I am currently teaming up with Jessica to give away one copy of the planner on my Instagram @ehmichelle, so check it out and enter if you'd like to win one! Michelle: Hi Jessica! It’s really good to connect with you. I’ll let you introduce yourself and tell us a bit about your journey with chronic illness. Jessica: So, I’m Jessica, and I’m 25, despite the braces. I started getting sick when I was 9. I was born with some of my illnesses. We know I was definitely born with Ehlers-Danlos Syndrome. Then all of the autoimmune diseases started to come out because I wasn’t being treated. There were always signs, but it was difficult because I was treated normal. Like I was normal, but I always had something wrong. So it was like a “Jessica’s so difficult” type of thing. I think if people can get diagnosed earlier on, I think it makes it easier to cope with those things. Because I always had that sense of “What’s wrong with me”, and “I’m not enough” and “Why can’t I do things other people are doing?”. So at one point my food wouldn’t stay down because I had a hiatal hernia and it got to prolapse and then my esophageal sphincter was spasmodic, so I couldn’t keep anything down. And I was accused by doctor after doctor of being bulimic. So we went to a lot of doctors that turned me away and I continued to just vomit, to the point where I would just take one of those coloured water bottles to school, and I’d pretend I was sipping out of it but I was really throwing up all day long. And there were other problems. I would get pain, I struggled just to keep up physically with everyone else. I was in and out of the hospital until I went to college. And by the time I got to college I had been to so many doctors that had turned me away, that I was convinced that it was in my head, and that if I just believed I was healthy, I would be. I tried to be normal college kid. Half my head of hair had fallen out, I was covered in bruises from bad anemia, I was ninety-something pounds. So I ended up in the ER one night, severely dehydrated, and that was the point where I knew this wasn’t in my head. I knew I needed proper medical care, and luckily I ended up at UCI Hospital, where they had a new gastric clinic, and they told me that something’s really wrong. This isn’t in your head. So that was an amazing moment for me and that’s when I started to get diagnosed with my gastric issues. But at that hospital, that was where they stopped.. They knew something else was wrong but they couldn't figure it out. And again I went on a doctor to doctor bounce. Once I graduated I really couldn't work, so I made getting diagnosed my full time job, and that’s how my planners were born.. Because that was the system I used for myself. Michelle: For any readers who aren’t familiar with Ehlers-Danlos Syndrome, can you explain what it is and what kind of symptoms you experience on a day to day basis? Jessica: So Ehlers-Danlos Syndrome is a genetic disease, that affects how your collagen is produced. And every single part of your body is made of collagen. So the terrifying thing about EDS is that it comes out differently in every patient, and you never know what you’re going to wake up to tomorrow. My skin is very thin, it’ll rip really easily. Joints will pop out of place all the time. I have Gastroparesis. I have Dysautonomia, so POTS, which is in remission now with treatment. Michelle: So my next question is about your planner. 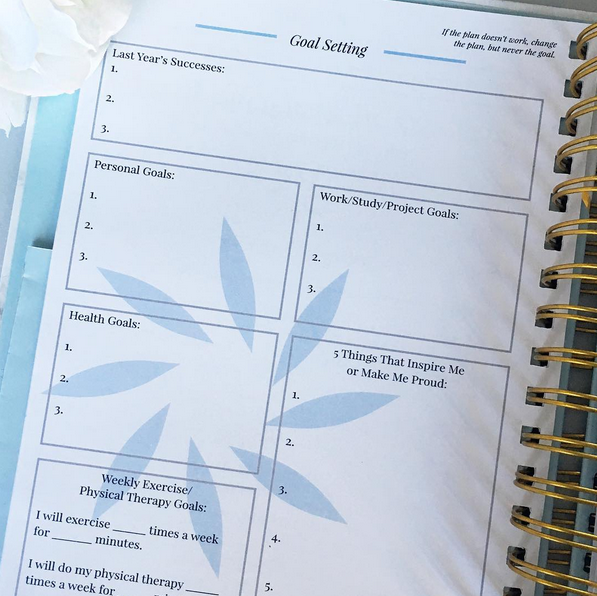 You created what seems like the most awesome planner, specifically for those who are chronically ill. How did you come up with the idea? Jessica: I have always been obsessed with organization. Like when I go to Target, I get excited. I’ll just like stand in the organization aisle and it’ll be like there’s music playing. So when I graduated college, I had a goal; I was going to be diagnosed in the next two years. And I put everything aside and make this my full-time job. I said I was going to put everything on hold and get better. And when I started doing it, it was hard! Getting better and getting diagnosed isn’t really a full-time job, it’s like MORE work than other people. It’s like you’re working 24 hours a day. I was showing up to wrong doctors appointments at the wrong time, because of my brain fog,and just trying to get everything organized. There was just so much scheduling,and my brain fog was terrible, and I wanted to feel like I was accomplished each day. So finally I decided to create a system. I didn’t want to feel disappointed at the end of the day. I wanted to feel good about what I’ve gotten done. And I want my parents, if I’m really sick, to be able to use the planner to know where I left off and help me out. And I saw,it really rapidly helped my ability to get things done, and it changed my viewpoint. When I woke up in the morning, I no longer felt depressed, because I felt like I was accomplishing something. I started to be able to go out more with friends, because I was able to schedule everything so I was using less spoons. So I could go to that one thing a week with my friends, and I could make it to that family dinner, and things like that. So really I saw such rapid improvement and I got diagnosed that next year at Mayo Clinic. 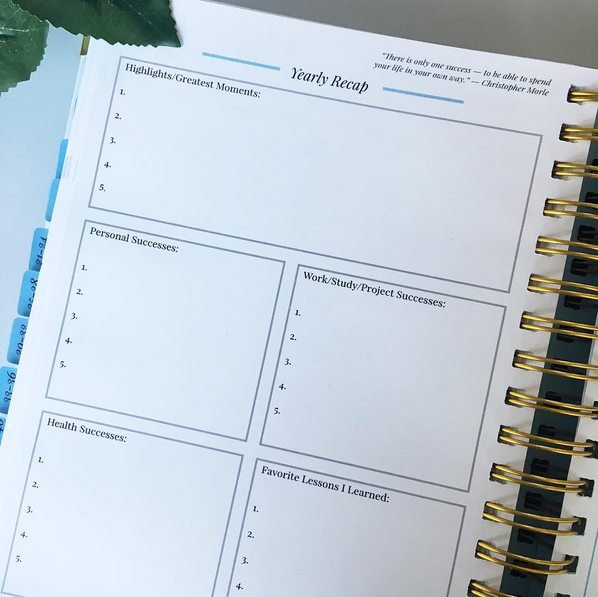 Michelle: How are you hoping the planner helps fellow chronic illness fighters? Do you hope that it helps people get diagnosed more quickly? 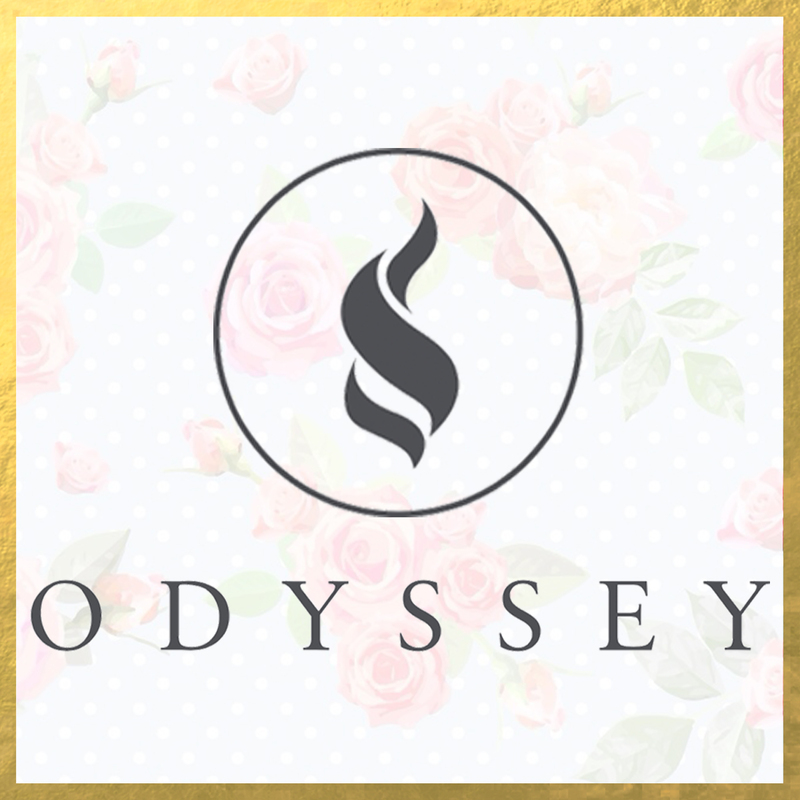 Jessica: I’m hoping that the medical diary really helps people get diagnosed much more quickly because it’s scary how long it takes a lot of people to get diagnosed, and it shouldn’t be that way. I’m hoping that being able to record symptoms, and your lab work, and your medications and how you reacted, and your diet, you can get better faster and also prevent flare ups and spiralling out of control. So you can recognize the flare up really quickly, go to the right doctor right away, and stop it before it spirals into a 3 month hospitalization. I just don’t want young women to be out there for 10 years anymore. And to end up with more diseases because they weren’t able to get treatment in the first place. And with the daily planner, I’m just hoping it will give people more spoons to go about and have fun with their day, and be able to accomplish things, and to be more positive and feel good about themselves, and have a go-getter attitude toward life. Michelle: What is your favourite motto to get through the hard days? 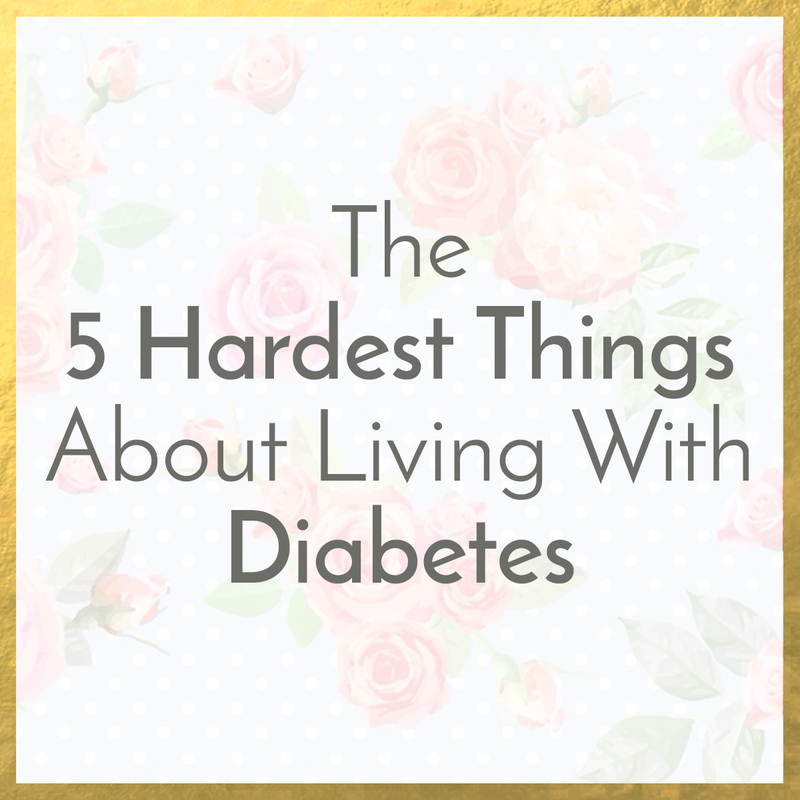 Jessica: “This too shall pass.” And that’s really been a beautiful blessing for me in my life in the way that it’s taught me that with chronic illness the good and the bad, are impermanent. And so you really have to embrace the great moments, and appreciate them, and you also have to see in the bad moments that they’re gonna pass. So that’s what keeps me going and keeps me embracing the good moments. Michelle: Where does the inspiration come from for your blog “Our New Healthy”? Michelle: How had the online community helped you through these times? Jessica: I honestly… They’re everything. Before I had that, I didn’t know people with chronic illness, and I didn’t have social media until last year. And I can’t believe I went that long without it. I wish I had had it so long ago. So when I started social media and I found them, it really changed my life in a positive way. 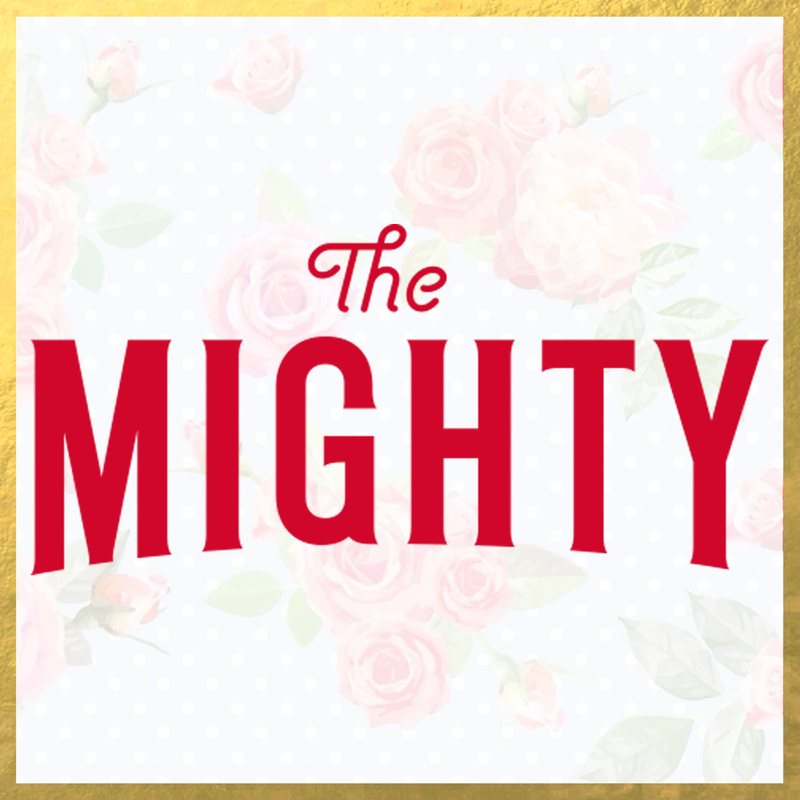 And I found this support group that’s unbelievable, and I just can’t thank the online spoonie community enough for getting me through the good days and the bad, and experiencing life with me, and being able to connect with people. And I’ve made so many personal friends now through it, which is just a huge blessing, and I am so amazed every day by our strength in numbers, and how much we can get done together. It’s just really cool. I loved this!!! 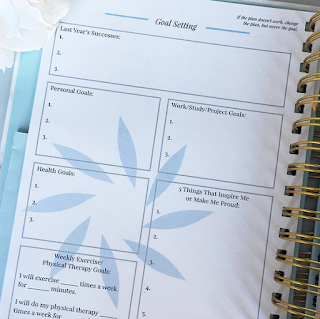 I've seen these planners and have followed our new healthy on Insta but was unsure of what it really was! Love your blog definitely gonna be reading more of your stuff!!! I love this and need it so much. I have been rearended 4 times in the last 12 years. Once Parallel parking and then 3 times at a red light. Needless to say I have been collecting diagnosis's and chasing others for quit some time. CRPS and POTS brain fog no longer let me remember important things like I should. And much to my dismay I am needing more help so this would really help me keep it together as I seek EDS and SFN diagnosis's. and subsequently treatment!!!! I really enjoyed reading this post! it's so comforting to hear other people have gone through similar things, when you often feel alone in this. Thanks for sharing your story, the spoonie planner is such a great idea too!! I loved reading this! It's great when you hear that other people have been through the same fight you have. It makes me feel not alone. 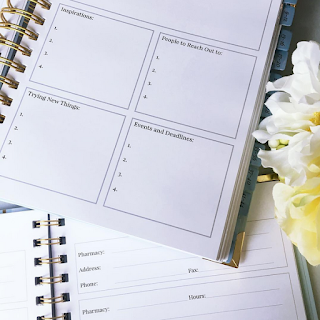 This planner is so helpful for spoonies! Each week I have 3-4 doctors appointments and sometimes brain fog wins when trying to figure out when/where I need to be each day. I would love to win this planner! I must get myself one! It's perfect!! I loved this piece and I love what Jessica stands for. 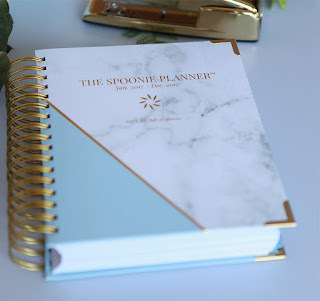 As a spoonie myself, I know how useful a planner like this could be. It's everything I have looked for in a planner, like Jessica read my mind!! This planner is such a brilliant idea. I, too, have a constellation of autoimmune illnesses.I am very bad right now, so finding it hard to be excited about anything. This is cool, though. Thank you!